Dr. Carolyn is a native of the beautiful Central Coast of California and is thrilled to return to her roots to provide the families of San Luis Obispo County with a highly compassionate and individualized approach to health care. 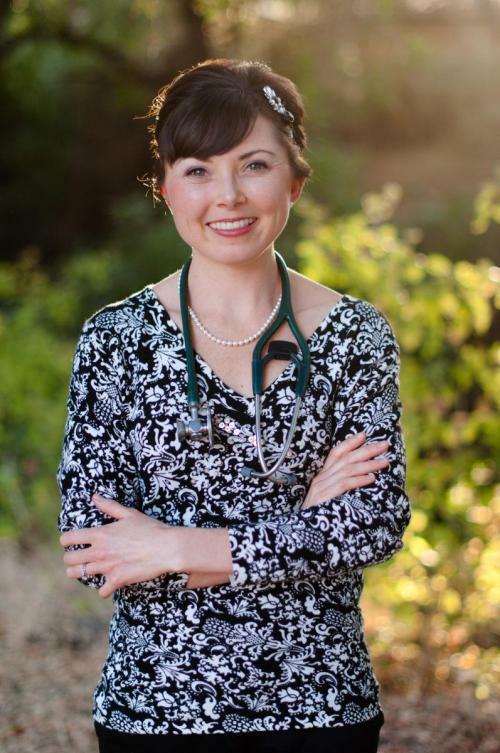 As an athlete and graduate of Atascadero High School and Cal Poly, San Luis Obispo, she feels that her approach to medicine is grounded in the traditions and ideals that make the Central Coast unique; ideals that include honoring the importance of family, community, and the county’s natural surroundings in the daily lives of her patients. After graduating from Cal Poly, San Luis Obispo in 2004 with a B.S. in Biological Sciences, she worked as a phlebotomist and phlebotomy trainer at Tri-Counties Blood Bank (United Blood Services) in San Luis Obispo where she experienced firsthand the tremendous community pride and spirit of volunteerism of the county’s residents . Working at UBS also afforded her the opportunity to develop her own compassion and skill at providing the highest level of patient comfort and care to meet her patients’ needs. Dr. Carolyn continued her medical education at the National College of Natural Medicine in Portland, Oregon, where she was trained in Naturopathic Medicine as a primary care doctor, earning her Naturopathic Doctorate (N.D.) in 2011. During her training she was awarded a prestigious year-long rotation in cardiopulmonary and internal medicine at the Center for Natural Medicine under the mentorship of Dr. Martin Milner, N.D., where she was able to treat a variety of acute and chronic care patients with complaints ranging from anxiety and depression to endocrine disorders, gastrointestinal complaints, and cardiopulmonary disorders, such as COPD, asthma, and coronary artery disease. Additionally, she received training in biotherapeutic drainage, a system of detoxification using homeopathic compounds, under the mentorship of Dr. Dickson Thom, D.D.S, N.D.
Dr. Carolyn looks forward to meeting the healthcare needs of patients both young and old. Call the Foundations Family Wellness office to setup an appointment today. We look forward to receiving your call and helping you on your wellness journey.